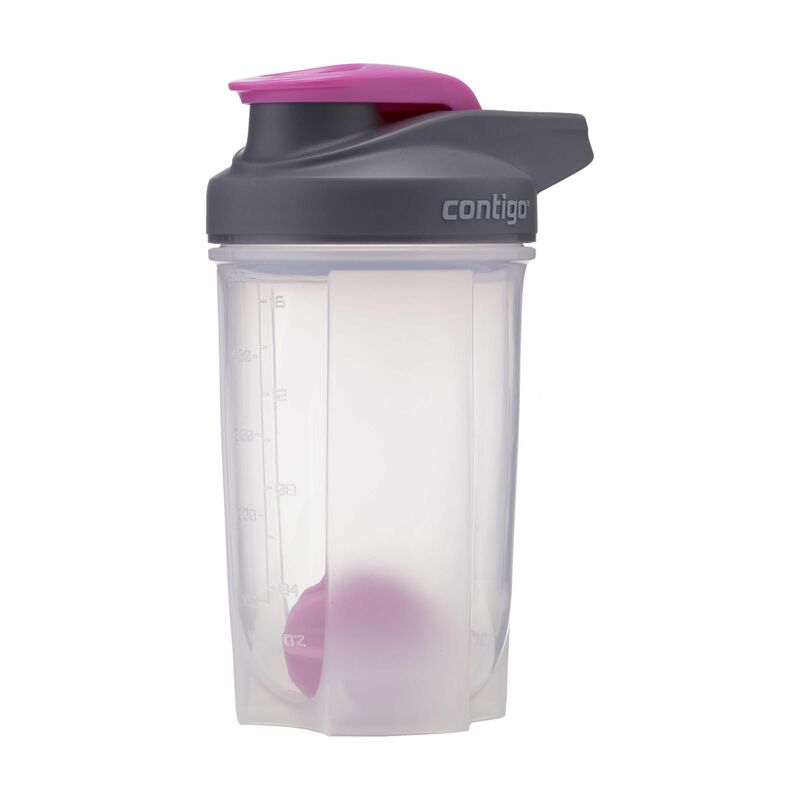 The contigo® shake & go™ shaker bottle that is chosen in most cases can be selected via our website. Handy cup with special shakerball and round design at the bottom. 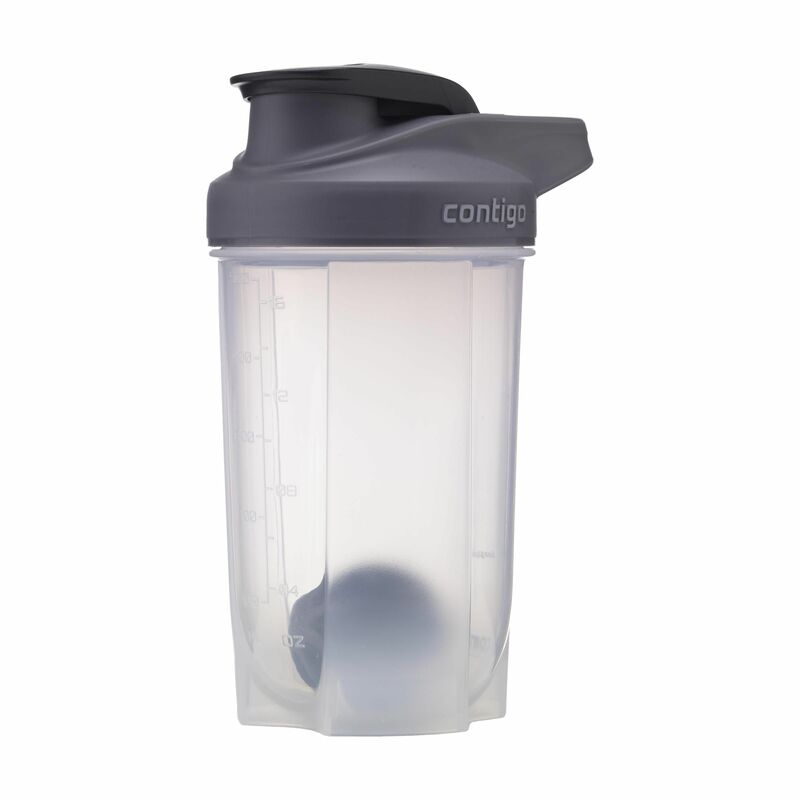 Ideal for mixing protein drinks and shakes equally, without lumps. With carrying strap and measuring in ml/oz. Dishwasher safe. Includes instructions. Capacity 590 ml.